Can we shoot more engagement sessions with horses please?? We encourage our couples to make their sessions unique to them... and Gaelle and Juan did just that! Gaelle grew up around horses, and completely goes to her happy place when she is around them. 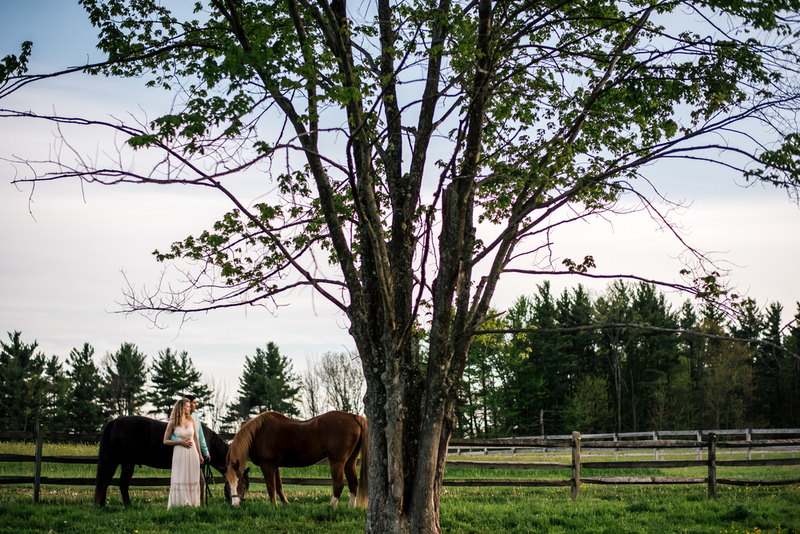 So without hesitation, we drove out to Huntburg Ohio to incorporate these majestic creatures into her and Juan's engagement session, and the outcome was magic. A fun-loving couple, horsies, beautiful grounds, and to top it all off... the weather couldn't have been any more beautiful. There was a warm pink haze to the sky, which only added to the fairytale atmosphere. We are so looking forward to their wedding later this year! !